Sonic Electronix, Inc. is headquartered in Louisville, the largest city in Kentucky. Founded in 2000, Sonic Electronix has always strived to become the premiere online shopping destination for car and other consumer electronics. Our goal and slogan "The X-Factor When Shopping for Electronics" reflects just that. We're here to help you find personalized solutions at affordable prices, without any sacrifice to service. Over the years we've received many awards in recognition of our passion and dedication to you. We've earned BizRate Circle of Excellence exclusive award on multiple occasions, although most recently this year (2017). Additionally our company was given the highest possible rating, Elite, by Stella Service and we've also earned an A+ on the BBB as we continue to ascend the Internet Retailer Top 500 list. Our Sonic Electronix philosophy to "e-tailing" is to provide honest advice and competitive prices. Our associates are highly trained in order to cater to your specific needs. Our educational process never stops, and our experts continue to receive training throughout their career as we're motivated to deliver an outstanding experience from start to finish. We invite you to shop with us and get a taste of the Sonic Electronix experience for yourself. You'll understand we don't see you as simply a user, but instead a customer for life! Our shipping headquarters are located in Louisville, KY which provides us over 60,000 square feet of storage space. 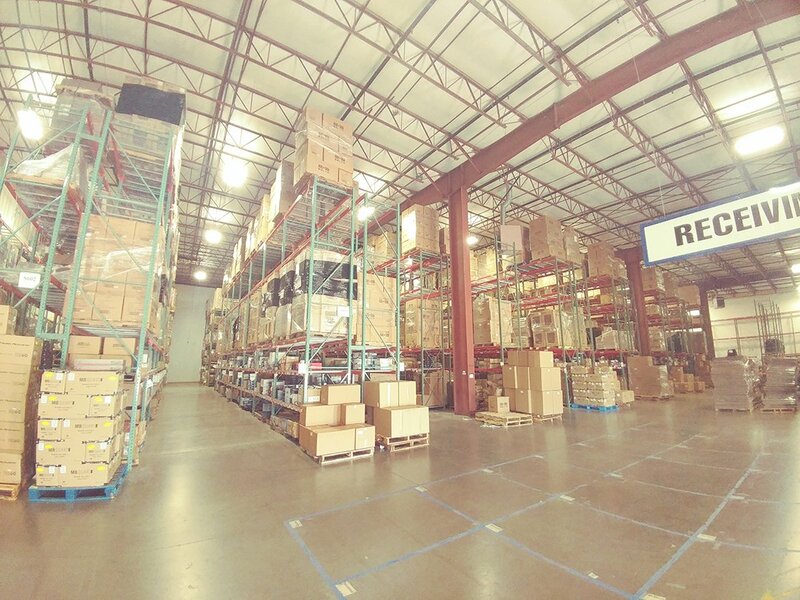 Our state-of-the-art warehouse stores thousands of readily available products so we can ship most orders within a single business day after being placed. We always keep everything safe and well-organized. Your order is packed into custom sized cardboard shipping boxes and filled with packing peanuts and/or bubble wrap to protect against shipping damage. We use environmentally friendly packing peanuts and recycle surplus cardboard, plastic, and other leftover materials. Once your order is packed, it is sent along a mechanical conveyor belt and scanned into the UPS or USPS tracking system for your convenience. We have a UPS and a USPS truck on site that each make multiple trips a day to their respective shipping centers. Our warehouse also features a cutting edge 12V testing-bay for all returned merchandise. This allows our technicians to provide the fastest and most accurate warranty service available. Please use the links within the left menu to learn more about our company. If you cannot find the information that you need, please don't hesitate to contact us. If you are an existing customer or would like to open an account with us, click the My Account link at the top of each page. Once logged in you will be able to track your orders, print invoices, or contact us for returns and any other support related questions.